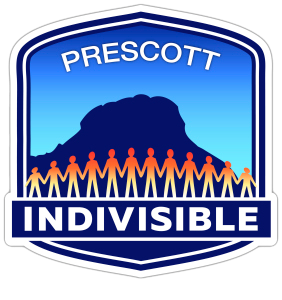 Over the last year, PI’s Immigration Team has had much to be proud of and thankful for: providing assistance to families in need; with the community’s generosity covering DACA registration fees for 12 young adults in our area; working with like-minded organizations to alleviate the plight of our migrants (legal aid, United We Dream, the Phoenix Restoration Project and, more recently, Keep Prescott Together). We also worked hand-in-hand with progressive candidates so they could reach out to the Latino community. The effectiveness of such efforts is not clear yet; all numbers are not out. We can attest to the fact that many our local Latinos were energized and participated in canvassing and volunteer efforts; people who had never thought they would do such. We could not be happier to have achieved this. Sadly, as the year closes, we are mortified to see that our treatment of immigrants, asylum seekers, and refugees continues to be abhorrent. Earlier we thought family separation and caging of children was inhumane but now we have reached a new low with the death of two young children while in the care of the Border Patrol. We must add to that horror, the recent mass dumping of migrants at bus stations in the cold, with nothing to help them make the next journey and overwhelming the volunteer organizations which are trying to make their passage more bearable. How far down have we gone as a country, as a people? Nevertheless, we go into 2019 full of hope and more determined than ever to continue pursuing every avenue we can to make sure we welcome immigrants to our country, to our state, to our towns. We will work with organizations and individuals that will help us advance these goals. We urge all readers of the PI newsletter, whether members of the immigration team or not, to stay informed and act in whichever way they can. Every action, however small you may think it is, will make a difference in someone’s life. Engage. Persist. Failure is NOT an option.